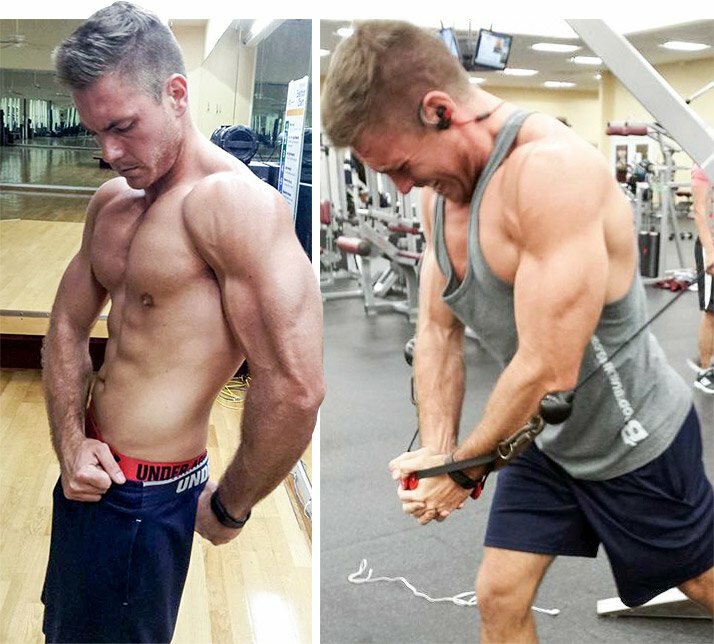 The 24-Year-Old Who Slashed His Body-Fat Percentage In Half! What prompted you to make the decision to transform your body and your life? Quite simply, I wanted to prove to myself that I had what it took. I was never that guy with six-pack abs throughout my life. In fact, I was pretty chubby. 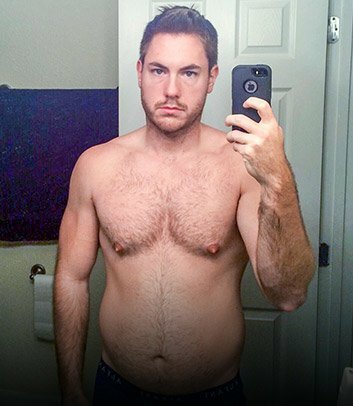 I got into rowing in high school, which helped me slim down. In college, I joined a fraternity with my freshman-year roommate, Nathan Peirce. It was like a portal into a musclehead dimension, simply because everyone seemed to be a meathead or gym rat. Inevitably, we joined the pack and started lifting. Six years later, on my 24th birthday, I looked at the mirror in disgust. It was as if I had a permanent food baby. This was despite always going to the gym to lift weights in the typical bodybuilder split (such as chest on Monday, back on Tuesday). It was clear I wasn't getting my desired results. How discouraging and depressing. That's when I decided I needed to change that and stop feeling sorry for myself. How did it affect you and those around you? I want to start a new way of fitness—one that's not egotistical, but more positive and supportive. This whole thing was easier said than done. I couldn't have done it without my roommate or my girlfriend, for they always kept pushing me to keep going. I believe my success has even helped my sister on her weight-loss goals; she has lost over 48 pounds, and I couldn't be more proud! Everyone has been so supportive. My family and friends are truly amazing. That's also why I love BodySpace so much! It's an incredibly supportive and knowledgeable community on the website. At some point, people will try to bring you down and bash you. Some people will tell you can't do it. For your part, just reply with a smile, and in your mind, use that as fuel and think, "Watch me do it." I want to encourage and motivate anyone that asks for my help in any way that I can. The goal is not to bench more than the guy across the gym; the goal is to be the best you that you can be. My favorite Will Smith saying is, "If you're not making someone else's life better, then you're wasting your time." I feel so much more confident and have more belief in myself. You can't put a price on that. If you don't believe in yourself, you will fail 10 times out of 10. I've learned that there is no substitute for hard work. You can't be perfect, but you can certainly strive for it. I live my life every day trying to be the best that I can be and trust in the process. The journey was and always will be tough, but anything worthwhile in life is earned, not given. Where did you harvest inspiration from? 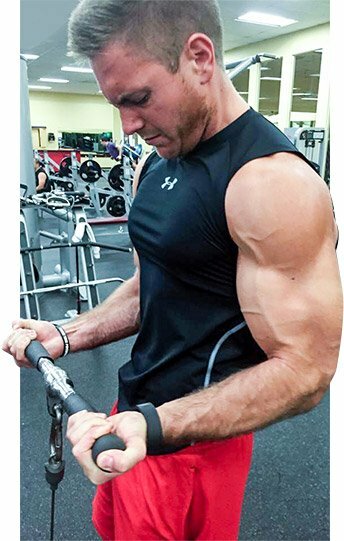 I started reading Bodybuilding.com articles about supplementation and eating clean. I learned that eating correctly, counting calories, and working with the correct macronutrients was the true path to success. You can't just go to the gym, pick up some heavy stuff, put it down, then go get fast food afterwards. You truly have to combine nutrition with training for optimal results. I also started following the HodgeTwins on YouTube and got hooked. They have a great workout channel with tons of useful tips. 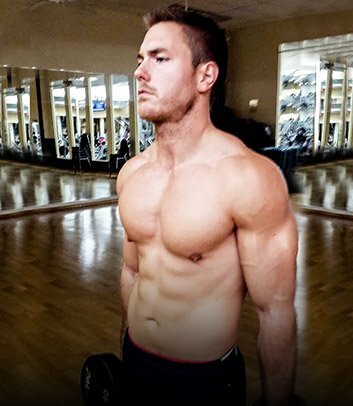 I started following the Arnold Blueprint workout here as well. I tracked my calories obsessively, using macros from a calculator I found on Bodybuilding.com for cutting. Intermittent fasting combined with an idea called carb backloading, in which I eat almost all of my carbs later in the day, dramatically increased my weight loss. To keep me from quitting, I made it a goal to watch one motivational movie a week. Some I can think off the top of my head are 300, Never Back Down, Troy, and Pumping Iron. Some days when I had to wake up in the morning for cardio at 5 a.m. and I was particularly tired, I would grab my phone, go to YouTube, and watch Greg Plitt's inspirational videos. Quotes like, "Normality is what weak people call living. I call it death" or "Make your dreams a reality, rep by rep" provided endless inspiration to keep me going. What was the most challenging part of transforming? Without a doubt, diet. I love to eat because food is great. My mindset, however, really helped me overcome my cravings and stay on course. I started to realize that food isn't just a tasty treat. Food is fuel for the most important tool you possess—your body. You wouldn't put cheap unleaded gasoline in a nice car; you would fuel up on premium. Yes, it's more expensive, but it will run better and last longer on the right fuel. Once I had the right mindset about food, it got a lot easier. Yes, I still have cravings, but that is what cheat meals are for—or what I call American eating. Competition is definitely something I'm interested in, but I have not committed to anything yet. My fraternity brother Nate and I have a couple things in the works, so be on the lookout on Instagram @bashbros.movement. If you want to get better, get fired up, keep pushing, and don't quit. Stop settling and start believing in yourself. Stop dreaming and start doing. For people looking to transform, my advice is to follow the advice of Ron Bailey: "Look at yourself in the mirror and tell me what a man is without pride, what a man is without fire in his eyes." Every time I hear it, I get fired up. I used different types of supplements to keep up the intensity. I found that mixing up the pre-workout supplements actually kept my energy levels up and my workouts from getting stale. I alternated some protein powders, too, because I got bored with flavors. Intermittent fasting worked for me, but I know each person's body and schedule is different. It's important to find what works for you, because you know your body best. As you'll see, I'm not a very good cook, which is why I eat out a lot. Greek yogurt with fruit: 5.3 oz. I followed and am still following the MusclePharm Arnold Blueprint training program. I did morning cardio 3-4 times a week, plus 30-40 minutes of HIIT on the elliptical or stair machine. On weekends, I sometimes did sprint intervals outside. Learn how to get shredded from the greatest bodybuilder of all time, Arnold Schwarzenegger. Includes a new interview and program from Arnold, plus never-before-seen classic footage!